Are you up for the challenge of camping in December? Whether it’s testing a new tent or just dusting off the old winter camping gear, come join the other winter campers at the Sandstone Ice Festival. Robinson Park has plenty of for room everyone; so pack up your wall tent, build yourself an igloo, or just throw your bivy sack down. Located on the edge of the scenic Kettle River in Sandstone MN, Robinson Park has access to the hiking and skiing trails of Banning State Park. 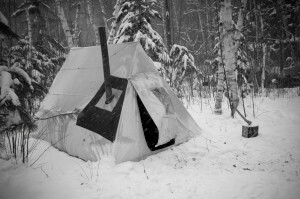 learn about “hot tents”, cooking on wood stoves, dressing for sub zero temps and the latest designs in Ski Pulks.